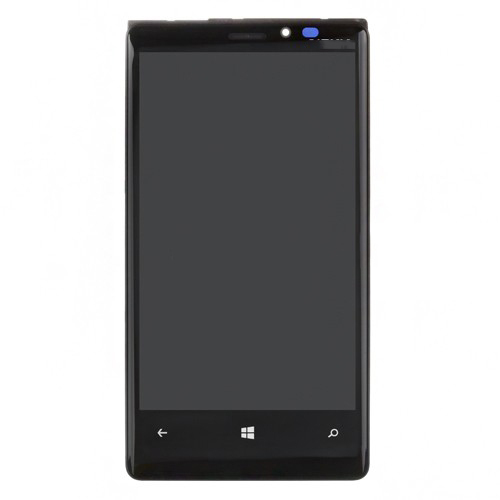 The Nokia Lumia 920 LCD Screen Digitizer with Frame is a combo part, which includes the digitizer touch screen, front glass lens, LCD display, and the front housing. After unscrewing all the screws on the rear housing on the Nokia Lumia 920,it comes to the important procedure of separating the rear housing from the display assembly on the Lumia 920. There are several clips hidden in the edge of the Nokia Lumia 920,chucking the rear plate and the front housing tightly. Break into the gap between the first two clips and rotate the opening tool to release all the chips to open up the rear plate. To install a new screen replacement on the Lumia 920,it requires dislodging kinds of components from the device on the way to the replacement. Phonelcdwholesale will not take responsibility for any damage during the installation.